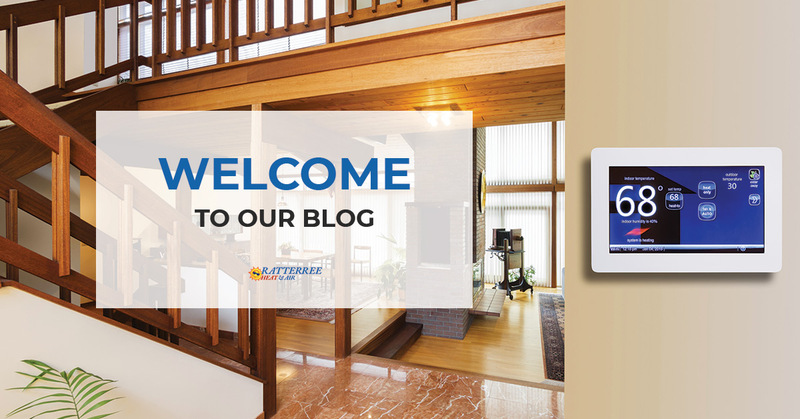 Hello there, and welcome to our very first blog post for Ratterree Heat & Air, one of Fort Worth’s most trusted and reliable HVAC companies! If you’ve come across our site, chances are, you’re looking for someone who can successfully tackle your HVAC system or HVAC issues. Well, you’ve landed on the right page, as at Ratterree Heat & Air, we offer high-quality HVAC services for residential and commercial properties in Fort Worth. Ratterree Heat & Air has served the local community for more than four decades, and our mission is to provide property owners with HVAC services they can trust. Our staff of HVAC technicians is always friendly, professional and punctual, and we’re proud to say we offer some of the best customer service in the industry. In this blog post, we’ll go over the specific services we offer and how our HVAC company differs from our competitors. Learn more about us below and contact us today for any of your HVAC service needs! At Ratterree Heat & Air, we offer a wide variety of relevant HVAC services for residential and commercial properties. Our HVAC company is family owned and operated, and we make sure to be open and available seven days a week for our customers. We also offer convenient financing options and next-day installation services. Living in Texas, we really value our air conditioning systems in the hot, summer months. Our team has years of experience working with many different air conditioning systems, and we offer air conditioning repair, maintenance, replacement and installation services. Broken compressors, fans or condensers. Uneven temperatures throughout your home or office. Learn more about our air conditioning services here. During the cooler fall and winter months in Fort Worth, we seek shelter in the warmth of our properly heated homes and offices. Our heating services include heating system repairs, maintenance, replacement and installation services. No warm air coming from your system. Uneven heat distribution throughout your home or office. Any strange sounds or smells. For the safety and wellness of those who either live or work in your property, it’s important to consistently check the indoor air quality of your home or office. If you have any issues regarding your indoor air quality, it’s essential you give our team of HVAC professionals a call right away. Learn more about poor indoor air quality warning signs and our specific indoor air quality services here. Our scheduled maintenance services are an ideal solution for your suggested annual HVAC service check-ups. We can make sure your heating and air conditioning systems are working as they should be, and these maintenance services can help extend the lifespan of your systems. Learn more about our residential and commercial HVAC service plans here. You might be thinking, “What makes your HVAC company stand out from the multiple other ones that service the Fort Worth area?” Well, we have a big reputation that is based on repeat and referral business. Our family-owned-and-operated business’ goal is to provide you with high-quality HVAC service as well as excellent customer service. Ratterree Heat & Air has serviced Tarrant and Parker counties since 1975, and we’re proud to be a fixture in the Fort Worth community. We continue to expand our customer base, and our service never suffers as a result of our growth. We only use the most current practices in the HVAC industry, and we can help install or fix up your HVAC equipment — whether that’s your outdated air conditioning system or your heating system that is randomly acting up. No matter what, you can rely on us to provide you with the best products and HVAC services in the community. When it comes to choosing the best HVAC services in Fort Worth, look no further than our reliable HVAC technicians at Ratterree Heat & Air. Whether you require a basic maintenance service or your HVAC system is acting up in the middle of the night and you need an emergency HVAC service, we’ve got you covered. For more information or to schedule a service with us, we encourage you to contact us today. You can reach our team by calling us at (817) 246-1866 or by completing our online form. We look forward to hearing from you and to having you be a part of our close-knit Ratterree Heat & Air family!